WSSMA 2019 Conference book proceedings will be published by IOP science as IOP Conference Series: Materials Science and Engineering (MSE). 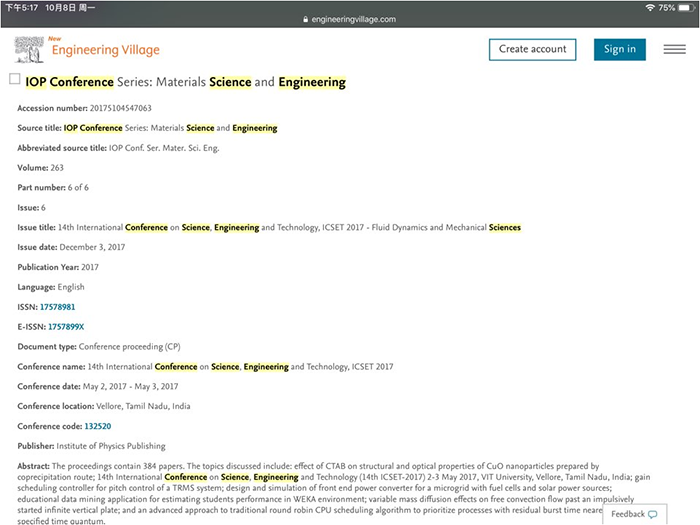 All papers will be abstracted in SCOPUS, EI-Compendex, Conference Proceedings Citation Index - Science (CPCI-S) (Thomson Reuters, Web of Science), etc. - IOP Science publishes high-quality journals indexed in SCI (the Science Citation Index) and CPCI (Conference Proceedings Citation Index).